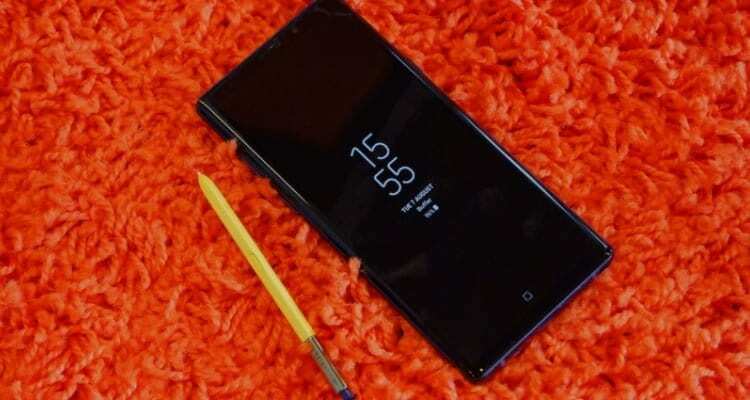 If your Samsung Galaxy Note 9 Screen keeps on freezing then read on as we show you some ways to fix the problem. When you notice the screen of your phone lags occasionally or freezes when you are trying to carry out a task like browse the internet or Play some games. It’s only reasonable to try to find a solution. However, before we find a solution, we have to first find out the problem. So in this guide, we will be taking a look at all the possible issues and their respective solutions. Clear System Cache: it’s a long shot but still plausible. A packed up system cache can slow down your Phone and cause the screen of your Samsung Galaxy Note 9 to keep on freezing or hanging. Clearing system cache is also known to boost phone performance so doing that should be your next course of action. To do this, Go to the Settings Menu >> Storage >> Tap on Cached Data and Clear Data. After that, reboot your device the and see the problem persists. If it does, try the next step. Boot Into Safe Mode: The problem might also be from an app you recently installed on your phone. Some apps have bugs which can cause the phone to malfunction so booting your device in safe mode should be the next thing to do. In safe mode, all Installed apps will not work only the stock apps(Apps that came with the phone) are allowed to work. To boot your Samsung Galaxy Note 9 into safe mode, follow the below steps. Press and Hold the Power Button, When the Samsung Logo comes up, Let go of the power button and Immediately press and hold the Volume Down Button. Keep holding the Volume Down Button till it boots up. If done right, you should see Safe Mode written in the bottom left corner of the screen. Now try using the phone for sometime in this mode and see if you’d experience the freezing issue. If the issue ceases to exist in the safe mode then an app you recently Installed is the culprit. You’ll have start uninstalling apps from the most recently Installed app till it gets fixed. If the issue still persists even in the safe mode, then there is one more thing to try out. Factory Reset/Master Reset Your Samsung Galaxy Note 9: This should be used as a last resort when all other methods have proven abortive. Also, make sure to back your device before attempting this procedure as this process will wipe everything on your phone. Factory resetting your device will give your device a chance to start afresh and most likely rid it of the freezing and hanging issues. Factory resetting your device is easy, just go to your settings menu and look for “Backup and Reset” Click on it and choose the Factory Data Reset option, follow the instructions and complete the process. These are the steps to take in order to fix the Samsung Galaxy Note 9 Screen keeps on freezing issues. Which of the above methods worked for you? Do let us know by dropping a comment down below in the comment section.